The Steamboat International Flute Festival - Integral Steps, an integrative education non-profit supporting the balanced development of individuals, families and communities, through music, movement, psychotherapy, ecology and creative arts! Colorado and Portland based! We are pleased to announce that Wm S. Haynes Artist Marco Granados will be returning to Colorado in August! A special feature of the festival we will be the offering of 'practice buddy' sessions. Each student will be paired with one of three flutist that have recently completed training with Marco for their graduate and post graduate degrees. Your practice buddy will help shed light on new concepts and ideas shared by Marco during classes and sessions, and provide support in exploring the ideas of Flow, Release, and the acoustics of the flute. Virtuoso flutist Marco Granados will be joined by critically acclaimed pianist Victor Mestas for a special evening concert on August 6 at the Chief Theater in Steamboat Springs. As a Haynes performing artist, Granados has traveled the globe inspiring students and audiences with his artistry. 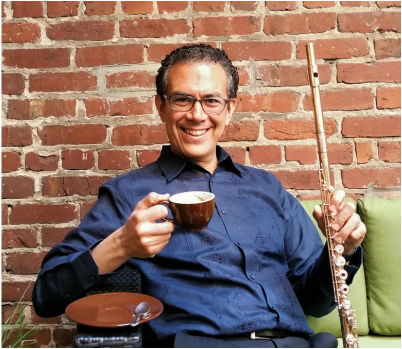 Through collaboration with Integral Steps, a Colorado based integrative non-profit co-directed by flutist and Dalcroze educator Emma Shubin, Wm S. Haynes, and Ellen Ramsey Flutes, Marco will present this special flute festival to our Colorado community. Ellen Ramsey Flutes will be our special guest! We will have access to all the wonderful flutes that Ellen has prepared for the NFA Convention before the rest of the flute community! 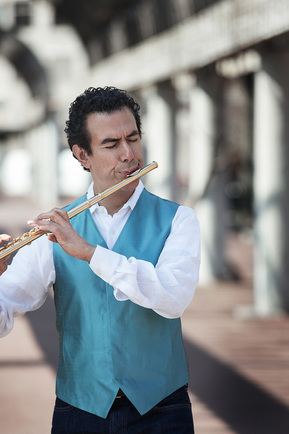 Our special master teacher, virtuoso flutist Marco Granados will be joined by critically acclaimed pianist Victor Mestas for a special evening concert on August 6 at the Chief Theater in Steamboat Springs. Special performance at the Steamboat Catholic Church followed by a farewell concert and luncheon for festival participants! 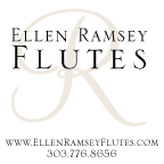 Ellen Ramsey Flutes, located in Longmont, is Colorado's premier full service flute specialty shop offering a large selection of instruments and services. "During the Steamboat International Flute Festival's Integrated Flutist, we will be bringing our inventory on the road! During this special event, you will be able to play test from a wide variety of our flutes and a special selection of Haynes flutes, as well."